Avoid the hassle of repairs, time, and uncertainty! Just fill out this quick form and get a fair cash offer, usually in just a few hours. No risk. No hassle. No obligation. No matter What the Reason for selling is, we will give you a Fair offer and help you move into another home. How Many Of These Situations apply to you? We have solved all these problems in the past. Divorce, We will buy the house and help you get moved. Inheritance,” Even if you can’t find the Will” No Problem, We even pay the legal fees. Health Problems? Travel The World Before it’s too late. We Pay Cash. Non Paying rental house with BAD tenants or your own Relatives who will not move. It’s a nightmare we can handle the eviction. After we own it. You’re a Partial owner that wants to sell, The other owners don’t want to sell You can have your cash equity in 3 days. Home is trashed, Hoarders living in the house We take care of them after we own the property Get your cash Fast. Properties. Electric doesn’t work, Roof Leaks, Old Bad Galvanized plumbing Pipes, We fix it all after close of escrow. Flooding, Foundation Problems, Yes we buy houses with those kinds of problems. Fire Burned the house, With or without insurance we buy. Home has loans for more than the value, Loan Modification In Default we buy these as well. Get You Money in 3 to 7 days after the title is cleared to close. We’re ready to, “Buy Your House Today”. “Help, I need to sell my house quickly”… You are in the right place! We started Buying Home Fast to help families and individuals just like you not to get ripped off by banks and HOA’s who are trying to steal home owners equity who get in a tight spot. We are here to help good people like you get out of bad situations. So if you need to sell quickly, we can give you a fair priced offer and you can get cash for your house. We can buy ugly houses, and we can buy beautiful houses. We know it can be extremely frustrating to own an unwanted property. Let us take that burden from you and buy your house now, regardless of condition or situation. Basically, if you have a property and need to sell it fast… we’d like to make you a cash offer and close on it when you’re ready to move. We will take care of all the paperwork. No waiting around and wondering. We will close with a reputable, local title company like North American Title, Old Republic Title Company or WFG Title. Selling a Home Fast Investors. We are Home Investors in San Francisco Bay Area. Our job is to help make your life easier and get you out from under the property that’s stressing you out… while still paying a fast, fair, and honest, cash price for your house. We purchased this house on Oak ct in Redwood City. from James R.
We help property owners just like you, in all kinds of situations. From divorce, foreclosure, death of a family member, burdensome rental property, and all kinds of other situations. We buy houses in San Francisco bay area and surrounding areas and pay a fair cash price, fast. 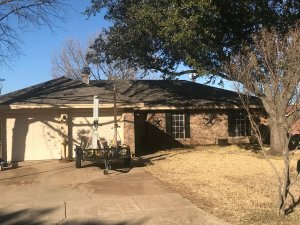 Sometimes, those who own property simply have lives that are too busy to take the time to do all of things that typically need to be done to prepare a house to sell on the market… if that describes you, just let us know about the property you’d like to be rid of and sell us your house fast for cash! SellingAhomeFast.com is an independent fully licensed professional real estate investment company BRE 00858916 with its own CASH for California properties. We will close escrow as quickly as possible, possible in as little as 3 days; or take your time. It’s up to you! SellingaHomefast real estate investors have 30 years of experience in buying all types of Real Estate in any condition. We have invested over $250 million in California Real Estate. We pay all cash and will close escrow when you’re ready. As quick as 7 days or as long as 120 days. You decide and we will take care of all the paperwork through National Title/Escrow Company Bonded Notary Approved Purchase agreements.